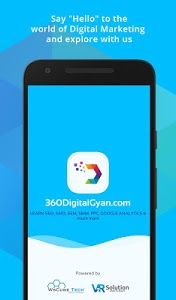 WsCube Tech presents before you a step by step guide to learn how to do online marketing, the 360 Digital Gyan-Learn SEO and Digital Marketing app. 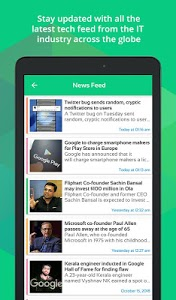 The app teaches you the ways by which you can create a place for your business in the Online World. 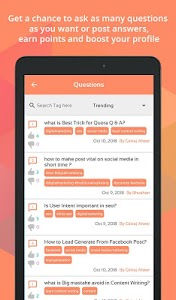 This free application comes loaded with categories, each containing textual and visual data, ensuring the complete understanding of the topic. 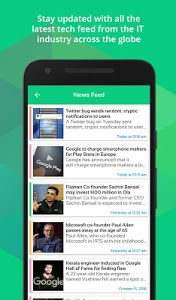 This app has been crafted for all beginners or professional. 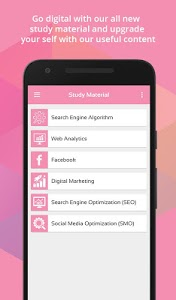 Browse through our modules for- Digital Marketing, SEO (Search Engine Optimization), SMO (Social Media Optimization), SEM (Search Engine Marketing), Google AdWords, Google Analytics, Google webmaster, PPC, e-mail marketing, content marketing, Facebook marketing, twitter marketing and many more with new content being added regularly. 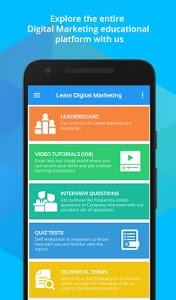 Video tutorial: This app provides both theoretical and practical videos on topics related to digital marketing. Available in both the languages- hindi and english, the videos provide and interactive way to understand the topic and its concept. Interview Questions – This section covers the top digital marketing interview questions along with answers that will help you crack the interviews and secure the job. 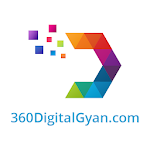 Quiz Tests – Test your digital marketing knowledge with 360digitalgyan quiz test. 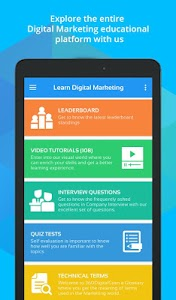 Challenge yourself and share digital marketing knowledge with your network. Technical Terms – Before diving into the topic, it is important to know the terms that are associated with it. 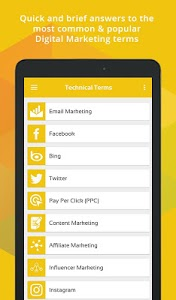 Learn all of the digital marketing terms under are technical term section. 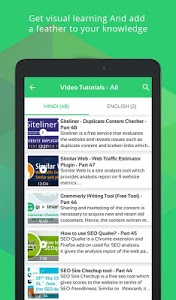 Study Material – With study material available on all the topics and subtopics, the user will be able to grasp the topic better. -Interview questions on all topics- digital marketing, seo, smo, email marketing, ppc, google analytics, search console, and more. 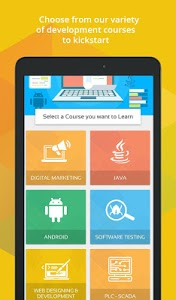 STUDENTS & JOB SEEKERS : The app provides study material, video that are easy to understand. 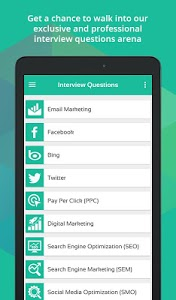 With latest interview questions updated regularly, the digital marketing app helps to create opportunities in the field of digital marketing. BUSINESS OWNER'S : with the app, business owners can learn to target the desired audience and attract more customers. PPC, SMM, Email Marketing will help to grow the business. I.T PROFESSIONALS : With content being uploaded everyday, the professional of any field- marketing, I.T, SEO or SMM, can brush up their knowledge their knowledge on the topics. HOUSEWIVES- the only thing you need to learn digital marketing in dedication and basic knowledge. This app opens doors to several job opportunities for the housewives. 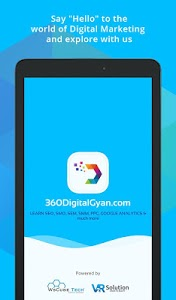 So, install the app now..Become Digital with 360digitalgyan app & www.360digitalgyan.com!! 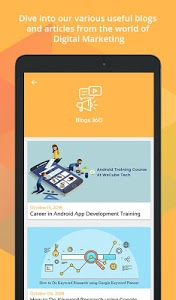 Similar to "Learn SEO, SMO, PPC and Digital Marketing course"